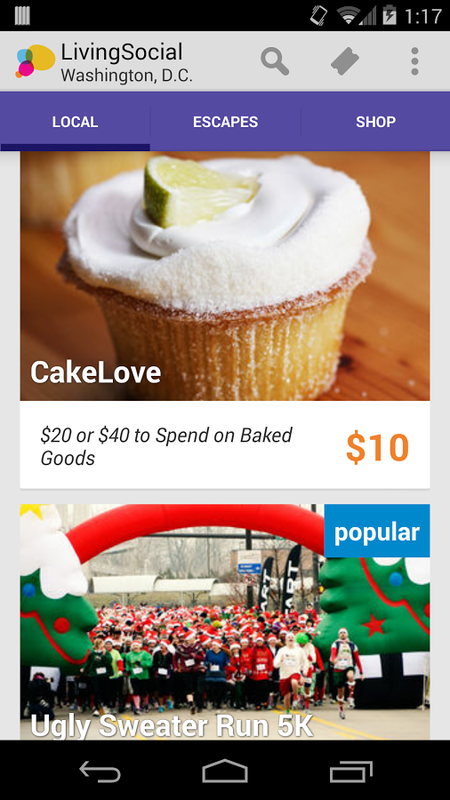 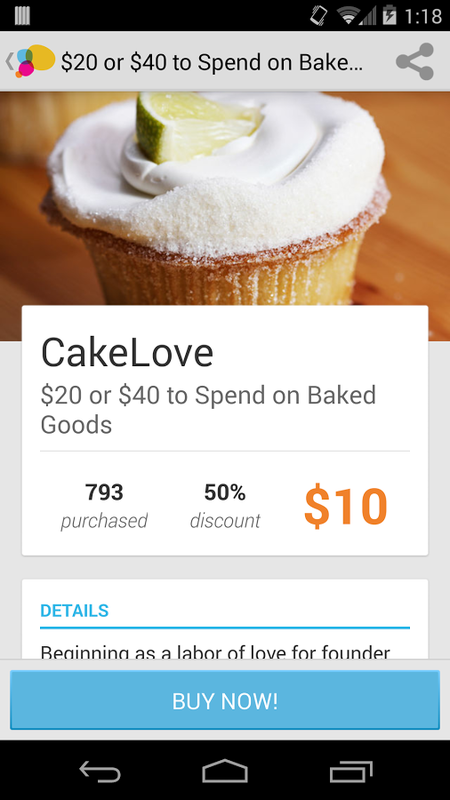 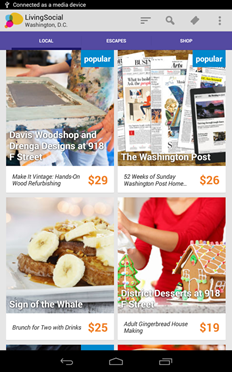 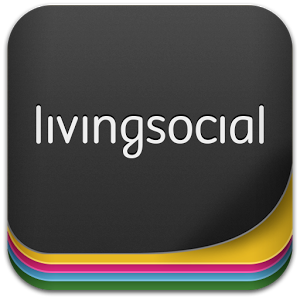 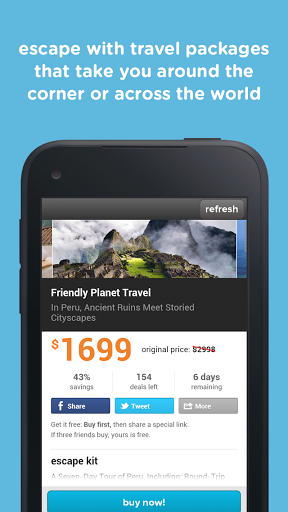 Your deal hunting just got much prettier with the 2.0 update to the LivingSocial app. 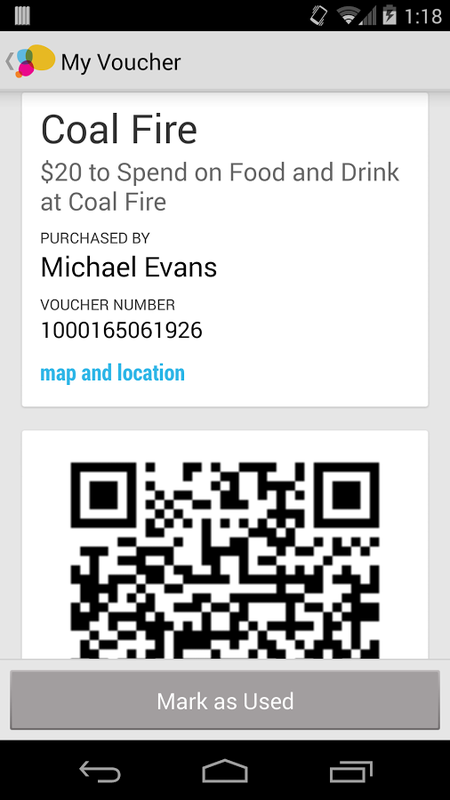 With this new version, the app has been redesigned from the ground up with a real Android aesthetic. 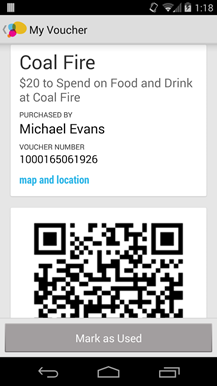 It's got an action bar, cards, tabs – the works. The new LivingSocial app is much better in the looks department (#HOLOYOLO), but it's also faster. The old app was clunky and sluggish in a lot of places. 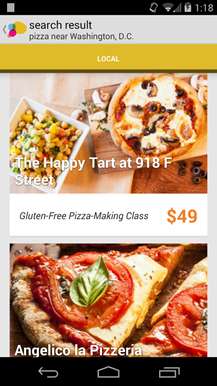 The new UI scales properly to different size tablets and phones too. 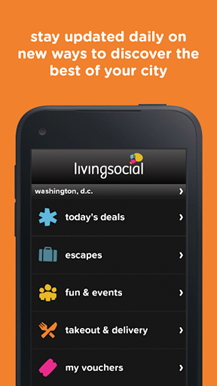 In addition to the cleaner, faster UI, LivingSocial has added search functionality (somehow it didn't have that before). 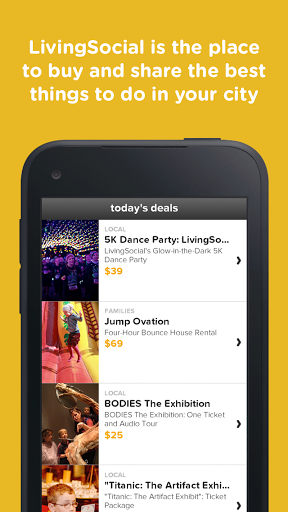 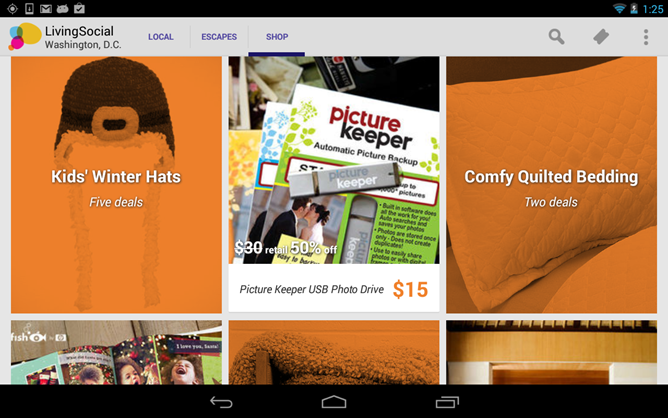 Now you can search for deals rather than just browsing through the categories. 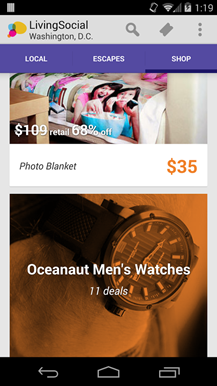 Some screens from the old interface are below so you can laugh derisively.